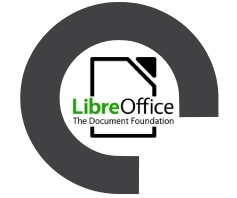 LibreOffice is powerful office suite including applications like Writer (word processing), Calc (spreadsheets), Impress (presentations), Draw (vector graphics and flowcharts), Base (databases), and Math (formula editing). LibreOffice is a powerful office suite highlighting a clean interface and feature-rich tools to help unleash creativity and enhance productivity. LibreOffice includes several applications that make it the most powerful office suite on the market. Libre Office includes Writer (word processing), Calc (spreadsheets), Impress (presentations), Draw (vector graphics and flowcharts), Base (databases), and Math (formula editing).